Yael Grobglas is an actor. Born on 31 May 1984. 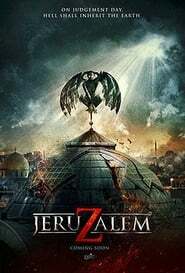 They is known for Rabies (2010) and JeruZalem (2016). Main Image: Yael Grobglas. Image via The Movie Database. Born 1984-05-31 (34 years ago). Your opinion about Yael Grobglas? Start a discussion about Yael Grobglas with your friends on Facebook or Twitter!